Dracarys! 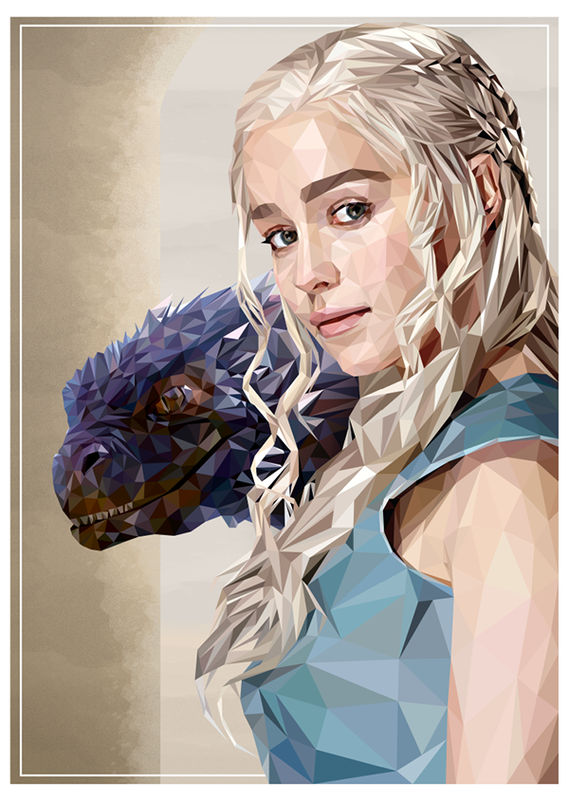 The Mother of Dragons herself, Daenerys Targaryen, is immortalized courtesy of the triangular brilliance of French artist Simon Delart (AKA S2lart). We have revisited Simon Delart (AKA S2lart) with his typically brilliant display of triangular awesomeness numerous times and in our most recent coverage, the French artist take on the small screen with his stunning rendition of Netflix's House of Cards, CW's Arrow, and Showtime's Penny Dreadful. 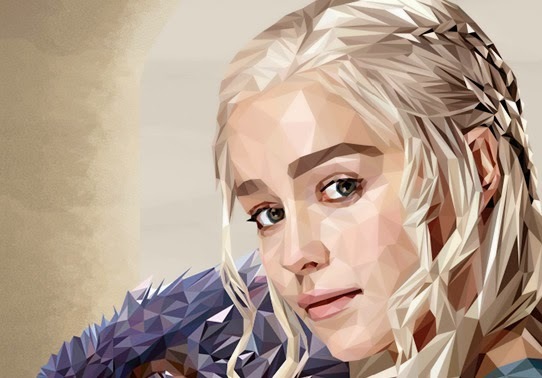 Continuing Delart's current spate of works inspired by the Golden Age of Television, the artist recently take on what would certainly be one of the most iconic television roles of our time, the Mother of Dragons, Daenerys Targaryen. 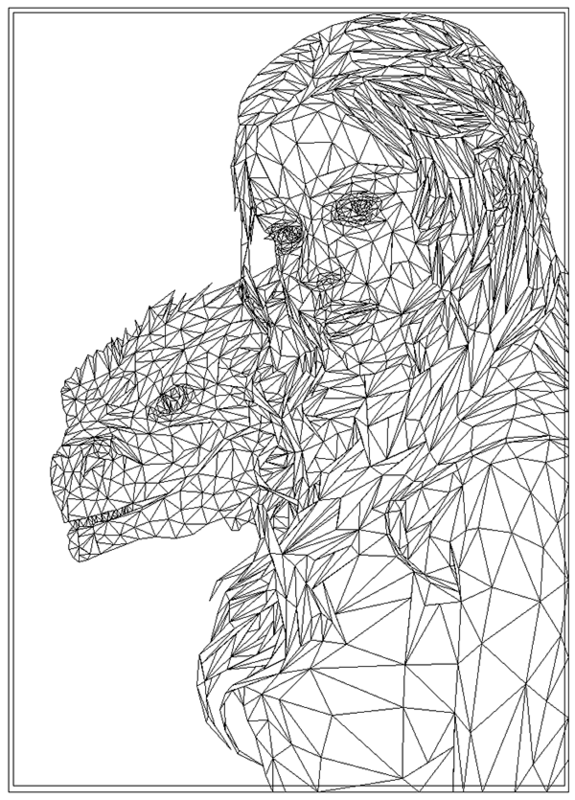 An assignment commissioned by a most fortunate fan, the regular Poster Posse member certainly did not disappoint with the awe pixelized piece formed by a total of 2601 triangles. With no further ado, check out the cool print right below, courtesy of Blurppy.